Channel 4 is to launch its new online channel devoted to world drama in January, which will eventually host more than 600 hours of drama from around the globe. The service, which was previously announced with the working title 4 World Drama will launch under the name "Walter Presents". It will be available via Channel 4's online and connected TV service All4. 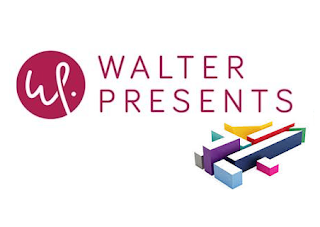 Walter Presents is a partnership between Channel 4 and Global Series Network (GSN) and has been given its odd name after being named after Walter Iuzzolino, the Chief Creative Officer at GSN, to emphasise the curatorial nature of the service. In January, Channel 4 and Walter Presents will bring viewers German drama Deutschland 83, an eight part drama that critics are calling " taut, gripping and stylish", set amidst the menaces of a divided Germany in the early 1980s. It will first be shown on regular TV before being available as a box-set on Walter Presents. Titles that will be available through Walter Presents in the first year will originate from a wide range of territories, including Brazil, France, Sweden, the Czech Republic, Argentina, Israel, Belgium, Poland, Chile and Denmark among others. A selection of dramas from the service will also be broadcast on Channel 4 and More 4.